In recent years, Steve Jobs became famous for emailing terse responses to queries sent by Apple customers to his public email address: sjobs@apple.com. It’s not a new habit, it seems. 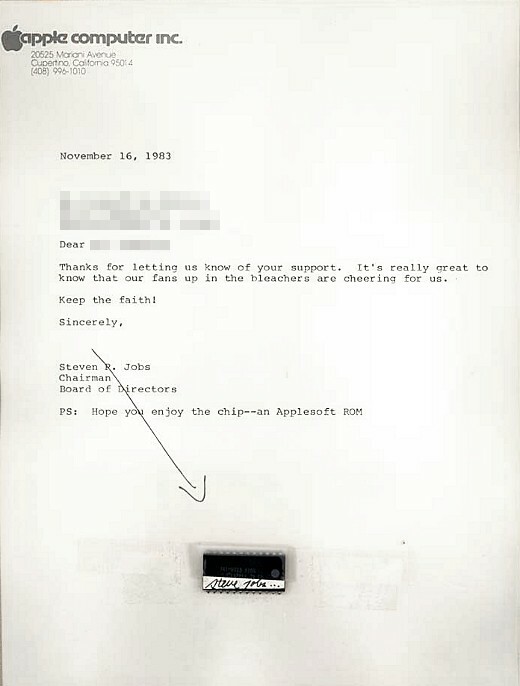 Back in the early days of Apple, Jobs used to mail letters with computer chips attached to them. Letters of Note posted the one above. How many of these are out there?